It is a fairly quite morning at my house...the slumber party guests have returned to there respective homes and we are all only a little worse for the wear. To give myself a little morning pick-me-up I decided to sit down with my favorite new toy - my iPhone 4 (which replaced my old favorite toy, my iPod Touch.) I recently made all of our December ADR's (Advanced Dining Reservations) and decided that I would spend some time getting all of my reservations and confirmation numbers loaded into Mouse Memo. Mouse Memo is a nice little travel organizer. The app is available from the iTunes store for $0.99, and is a nice choice for both iPod Touch and iPhone users as the majority of the app does not require wi-fi. The app provides a link to AllEars to view menus, which will require some connection to the internet to view. The only difference for iPod vs. iPhone users is that you can make a call directly from the app. When you open the app, the home screen displays a list of the various categories of reservations you may have on your trip: Dining, Entertainment, Flight Information, Ground Transportation, Hotels, and Restaurants. Working backwards, the Restaurants tab is not actually for storing your ADR's (see the Dining tab). Instead, the Restaurants tab brings you to a search screen that will allow you to filter WDW restaurants by several criteria. You can view all restaurants or search by location, price, whether they take ADR's etc. Once you make a restaurant selection you can see basic information about that restaurant as well as a link to the menu on AllEars.net. If you wish to view the menus, you will need an internet connection. The next tab up is the Hotels tab. When you click "+" to add a hotel you are presented with a list of all Disney hotels as well as the Swan, the Dolphin, and Shades of Green. If you select one of the listed hotels, the phone number and address of the hotel will automatically appear on your details screen. You can then input your check in and check out dates, the number of rooms and you confirmation number. You can also add rate and deposit information. There is also a place to add hotel information should you be staying off site. While this is a nice little screen, the former software designer and tester in me thinks it could be a little better. It would be nice to input multiple confirmation numbers if you have multiple rooms, or if you use a travel agent that provides you with a separate confirmation number. Also, a field to input your personal notes would be nice as well. Next up is Ground Transportation. The Ground Transportation tab allows you to select Rental Car, Taxi/Shuttle, or my personal fave, Magical Express. Each option allows you to input basic contact information, dates, and confirmation number. The rental car tab also has a spot to note mileage and the gas gage. Flight Information allows you to input basic airline information. Airline, Flight, Date, Phone, Departure and Arrival Information can all be stored in the rather simple data entry screen. Again, with a few tweaks this could be a little more functional. You can input a frequent flyer number, but it would be nice to be able to add multiple numbers for the whole family. It would also be nice to have the major Airlines listed so you can just select the airline and have the phone number automatically display. Again, there is only one spot for confirmation number. I was able to input both numbers as 1234 or 5678 to work around the problem, but it would be nicer to have at least two spots. Although, I suppose the notes section could be used. The Entertainment tab is quite handy. You can select your event from a list provided or input your own. 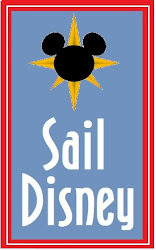 Some events listed include Hard Ticket events such as the Halloween and Christmas Party as well as Kids Night Out, Illuminations Cruise, Recreation, Shows, Spas, and Tours. It is a quite robust section that was unexpectedly handy. You select your event and then input date, confirmation, and balance information. The last tab (which is actually the first, I am working backwards, remember!) is the Dining tab. The dining tab allows you to select from a list of WDW Restaurants or to add your own. For the early planner, you can input the day you would like to dine at your restaurant of choice and Mouse Memo will calculate the day you can make your ADR. You can also record your confirmation number, party size, and deposit. Mouse Memo will tell you if the restaurant is on the Dining Plan. Once you input your dining information you are presented with a nice little summary in chronological order listing the restaurant name, time, confirmation, and general location. The software tester in me is again rearing her ugly head. I had A LOT of problems on this tab. Information does not save properly and fields get updates automatically with incorrect information. I have attached a screen capture showing the phone number where I previously entered my confirmation number, a party size of 12 (when I input 4), and the deposit field (where I input $0) showing the restaurant's name. If you keep at it you can ultimately get the information in there, but it is a frustrating process to keep entering those crazy long confirmation numbers! (I did finally realize, if you input the restaurant and date, save the entry, and re-select it to input the rest of the information, everything will save properly.) It is time for the developers to get back to the drawing board on this section. While they are at it, it would be nice to eliminate the day that I can make my ADR's if I have already input a confirmation number. It would also be great to have a spot to input ticket numbers and photopass numbers just in case they get lost! Overall this is a nice little travel app that can be used to record the details of any trip, but is especially handy for recording details of your Disney trip. There is some room for improvements and enhancements, but that should not stop you from using this app to keep track of all of those pesky little travel details! It is worth noting that this review is for Version 1.6 of Mouse Memo. Subsequent updates will hopefully correct the problems noted with the Dining tab. I'm the developer of Mouse Memo. Thanks for the awesome, detailed review! The problem you experienced with the dining screen is a known bug that will be fixed in the next release. 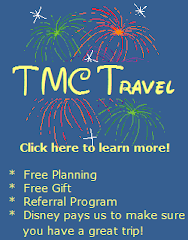 Your Travel Agent info is a great idea and I will add it to the list of upcoming features. We took a little hiatus from development on the app as we didn't want to post an update during the summer vacation season just in case something went horribly wrong. Look for a new version of Mouse Memo sometime in September. Great news, David! I will look forward to the update and I will update the blog when it comes out. With my design and testing background, I really am a tough customer. I have learned to work Excel within an inch of its life to exactly what I want. I am really happy with this little app...I thought I might have spreadsheet withdrawl over the transistion, but that is not at all the case!